Dan Layus isn't exactly a newcomer. If his voice is familiar, you most likely encountered it nestled nicely in between the big productions and full arrangements of his rock outfit, Augustana. Layus notched a decade or so with the band on his belt, eventually growing weary of how comfortable the creative process had become. "I needed to wake myself up a little bit," the Nashville-based songwriter told us during his recent session. 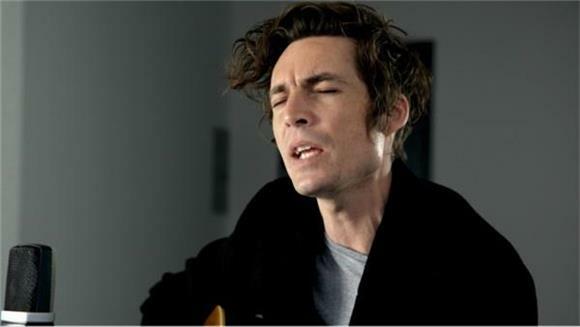 When Augustana eventually disbanded, it felt like the right opportunity to pounce on something different; the result of which is his new solo album titled Dangerous Things. "Essentially, I decided I was going to burn the house down and start from scratch." That meant grabbling with his own creative history a bit, stripping things back significantly to reveal something more honest and vulnerable. "I wanted it to feel more like a true artistic experience," Layus explained. "And in order to do that I had to let go of whatever previous process I had been accustomed to". As a result, Dangerous Things is made up of guitar, pedal steel, fiddle, piano, and other sparse arrangements, all delicately holding both Layus' voice, as well as vocal collaborators, The Secret Sisters. For his NEXT Session, Layus took that peeling back as far as it could possibly go. What's revealed here are the true roots of Dangerous Things. Three songs delivered over some sparse guitar in a completely empty room (funny story: a construction crew had a punched a hole through our roof while it was raining, so we went scrambling for a different location for this one on the morning of the shoot). Here lies the truest essence of what Layus is trying to accomplish on his new record. Here lies something special.